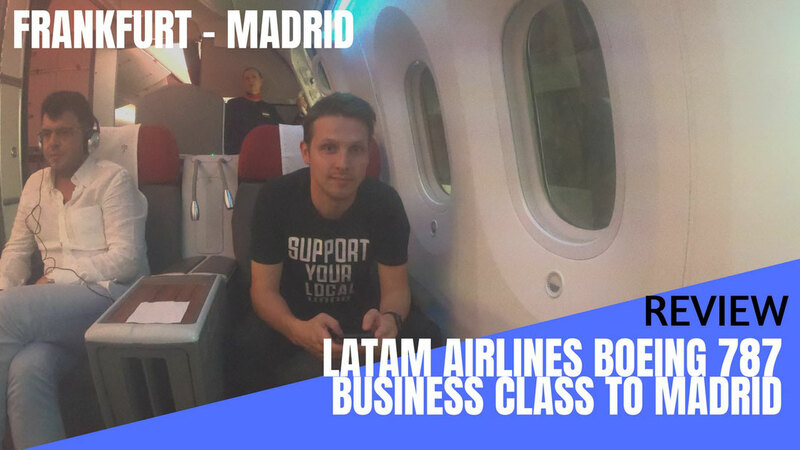 If you don't want to read the review (I know, too many words) you can just lean back and enjoy my video report which gives you a detailed inside of what it's like to travel on LATAM Airlines 787 Dreamliner. 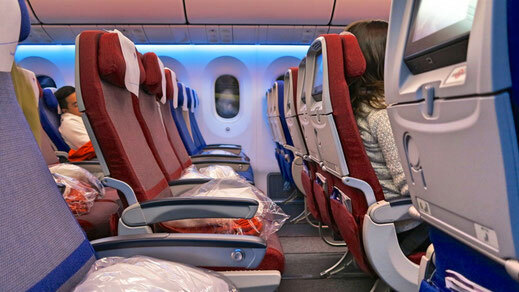 LATAM Airlines 787 offers 30 flat bed seats in Business Class. 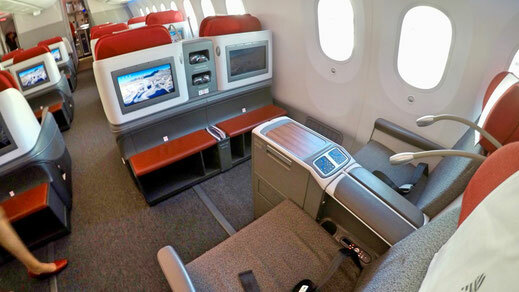 The cabin comes in a 2-2-2 configuration and only the window seats don't offer direct aisle access. To be honest, the cabin doesn't feel very private. 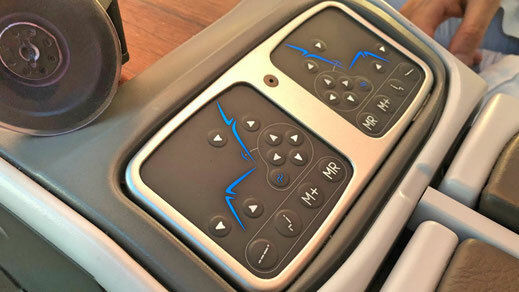 I have experienced much better 787 cabins throughout the years. Especially the last row feels very exposed since there is no divider. 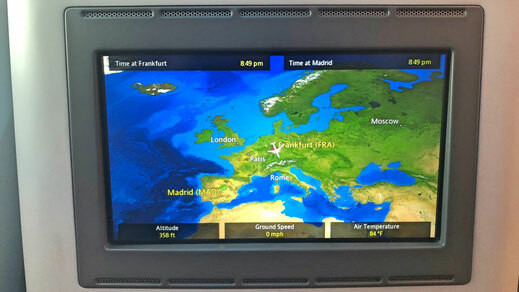 Check out the seat map of LATAM's 787. The seat was alright but not overly comfortable. Also the screen is too small because the distance between seat and screen is fairly big. I also couldn't operate the entertainment system with the remote control because for some reason there was none. This means I had to bend forward every time I wanted to operate the screen. 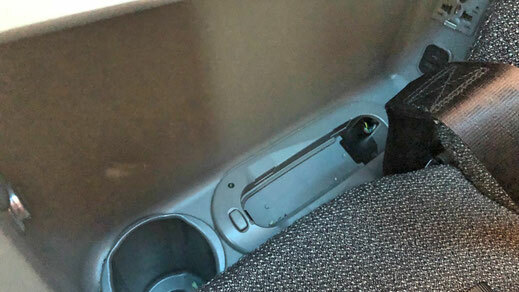 The seat features an USB slot, a power outlet and a lot of storage space for personal things. The foldable table is huge and adjustable. However due to it's design you can't leave your seat during the meal service. 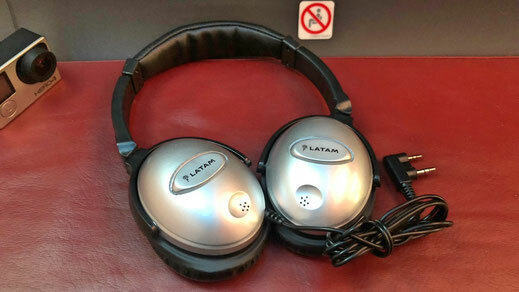 LATAM also provides noise-cancelling headphones. The entertainment system however was alright, features a bunch of latest movies as well as games. 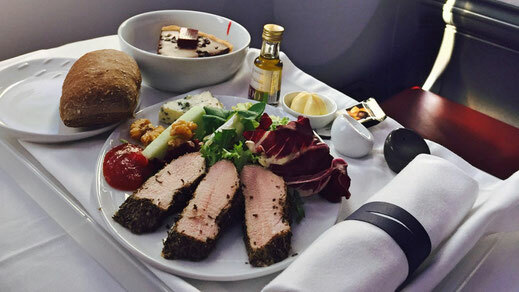 On this particular flight from Frankfurt to Madrid, LATAM only serves a cold meal. This time I was served a Salmon Salad with Mozzarella and a bowl of fruits. 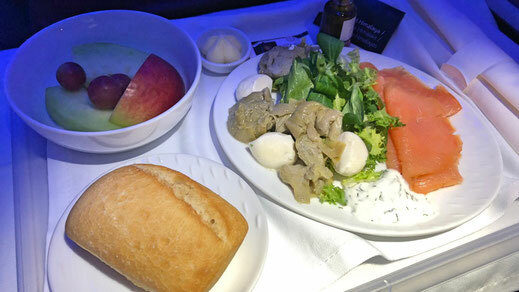 It was alright, but for example KLM offers a proper meal on its fifth freedom flight from Jakarta to Kuala Lumpur. This flight sets quite a benchmark and I don't think LATAM gets anywhere near it. The service was also very slow though the crew was very nice and welcoming. 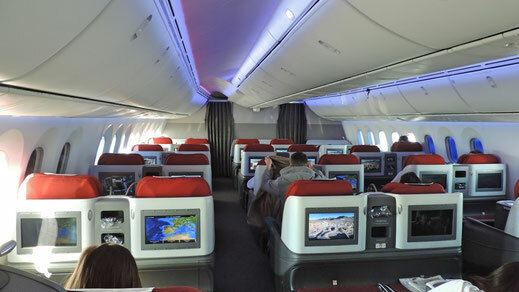 On LATAM's Dreamliner you'll find 51 seats in what is called Space+ which is not really a Premium Economy Class but it offers 2 inch more legroom. 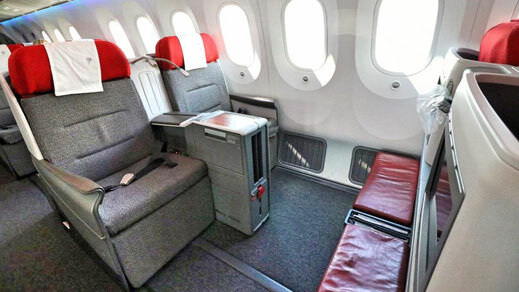 The rest of the cabin are 232 standard seats in a 3-3-3 configuration. 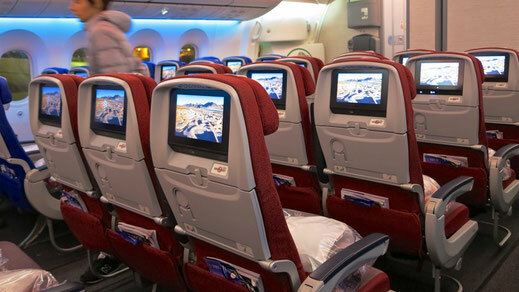 Each seat has personal entertainment screens, a USB slot and a power outlet. Considering the fare of just $200 the flight was great. But LATAM's 787 is mostly being operated on long haul flights and I don't think I would have enjoyed the seat as much as I did on a longer one. 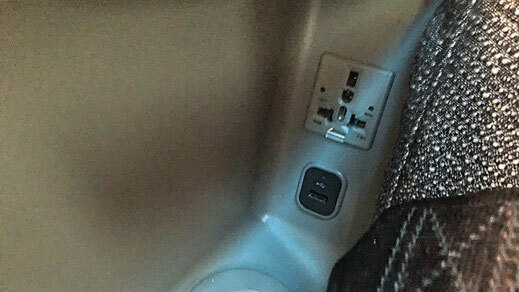 It's a bit of an outdated product, the screen is tiny, the missing remote control and many other things would make me consider flying a different airline. The crew was nice though but as I said, LATAM wouldn't probably my first choice.